Apple Pay’s eventful early days were full of highs and lows. Excited iPhone users rushed to test the mobile payment service on day one and found it super seamless. Cashier confusion, Bank of America’s double-charging foul-up, and the NFC block at Rite Aid and CVS marred the rollout, but a major product launch is never smooth. And who knew CurrentC, a QR code-based app that isn’t even on the market yet, would turn into such a huge thing? As early reviews and news poured in over Apple Pay’s first 10 days, Macworld hit the streets of San Francisco and New York City to give the service a real-life test run in two vastly different environments. We didn’t try to replace our wallets with Apple Pay or any other such gimmicks. We wanted to see how Apple Pay could fit into our daily routines. Is it easy to use? Convenient? And, most importantly, does it have the potential to change the way we pay for everything? New York-based Associate Editor Caitlin McGarry and San Francisco-based Associate Editor Leah Yamshon have the answers. Caitlin: I really thought setting up Apple Pay would be time-consuming. I sat down with my wallet and opened Passbook ready to tap in every number. And you can do that, if you want. But holding my credit and debit cards in front of my camera and watching it lift the numbers was infinitely cooler—and easier. All I had to do was enter the security codes and confirm the expiration dates. One credit card company required me to verify Apple Pay using its own app, which was easy enough. My bank didn’t require any verification, but did send me an email to let me know that my card had been set up on Apple Pay, just in case. Actually using Apple Pay is a breeze. Simply hold your phone near the NFC reader and watch your screen come to life—all you need to do is verify your identity with Touch ID. Toggling between debit and credit cards was as simple as tapping your preferred card (my cards were various colors, and matched the color of the corresponding physical card). The toughest part of using Apple Pay is remembering that Touch ID takes more than a tap to recognize your fingerprint. Leah: Generally, Apple Pay has been a cinch to use when buying stuff, but I was particularly curious in seeing how merchants would handle processing returns with Apple Pay. I used to be a cashier at a major chain clothing store, and I remember our return process all too well: We had to make sure the customer had the original card they used with them, because we could only refund customers in the same way they paid. That meant I’d check the receipt and the card to make sure the last four digits matched, and then I’d swipe the card myself. Sure, every store has its own policy, but my store’s policy seemed to be a common one. And since Apple Pay randomizes the card number for merchants and prints out that fake card number on the receipt, I had a feeling that returns would be problematic, even though Apple insists it wouldn’t be. As it turns out, I was right…and I was wrong. I purchased items from Macy’s and American Eagle Outfitters and then returned them later that day to test it out. There was a brief hiccup at American Eagle, when the cashier asked if he could see my credit card to confirm that the last four digits matched what was on my receipt (just like my old store!). I explained that I had used Apple Pay, and that the receipt wouldn’t match my card because of the system’s security measures. I then showed him my receipt and the card info stored on my iPhone, and also showed where the transaction was logged in Passbook. Stumped, the associate called his manager over, and we filled her in what was going on. The manager told me that she still needed to see my actual credit card to make the return, explaining that I couldn’t get a refund without swiping the card. I obliged, but then asked if I could tap my phone on the terminal first just to see what would happen. Boom! 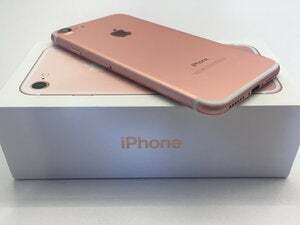 The return went through, and the random four-digit number that Apple Pay had issued earlier flashed on the American Eagle register, so the employees could see that the Apple Pay card matched. It was a learning experience for both of us. Macy’s, on the other hand, didn’t require anything except for my original receipt and my signature. No credit card to verify, no Apple Pay info, no photo ID—just my signature on the pin pad—which was both super convenient and also a little unsettling. With time, I expect returns with Apple Pay will become just as easy a regular credit card, but your experience may vary across stores for now. Caitlin: My first Apple Pay experience was a late-night food run, because why not? My partner was craving a snack after watching the San Francisco Giants handily defeat the Kansas City Royals. After we got off the subway, we headed toward the closest food option that was still open: Conveniently enough, it was McDonald’s. I’m not much for fast food, but I’ll happily buy someone else a giant pack of McNuggets—plus, it was the perfect chance to test out Apple Pay. We ordered, I held my phone near the card reader, and the process was over almost before it even began. “Did it go through?” I asked the cashier. She nodded, excited to see Apple Pay in action. “Others here have seen it, but you’re my first customer to use it!” she said. It felt like a high-five moment, but I was too busy photographing my receipt. The makeup artist who rang me up at the MAC counter inside Macy’s in downtown Brooklyn wasn’t quite as thrilled when I used Apple Pay—actually, she could’ve cared less. I waited longer for her to turn on her computer than I did paying for my item. I usually grocery shop at a store near my apartment, but Whole Foods is within walking distance, so I ventured off my usual path to procure food for the week. Whole Foods is, without a doubt, Apple Pay’s most supportive partner. There was signage outside the store advertising Apple Pay, and the card reader in the checkout lane was emblazoned with the Apple Pay logo. The cashier didn’t blink twice when we tapped my partner’s iPhone 6 Plus screen to pay. Success. I didn’t experience any cashier confusion or glitches when I used Apple Pay, except when I tried to buy pumpkin-shaped Snickers at Rite Aid—but we all know why that happened. Rite Aid and CVS are my only neighborhood drugstores, so my Apple Pay usage would skyrocket if they turn NFC back on. Which brings me to my only problem with Apple Pay: It’s not available at most of my usual spots. Lunch options in midtown Manhattan are bad enough without having to resort to McDonald’s and Panera when I need to eat. Hopefully, Apple’s support of contactless payments will encourage more stores to embrace NFC. Leah and Caitlin both first used Apple Pay at McDonald’s, because why wouldn’t you? Leah: My first experience with Apple Pay was in Lost Hills, California, at a McDonald’s truck stop off the Interstate 5. It was the second day Apple Pay was available, and I was really interested to see if merchants statewide were ready for the rollout—not just in tech-centric San Francisco. Luckily, I happened to be driving back from Los Angeles and could check it out in a small town in the Central Valley. After ordering, I noticed the bright red and yellow McDonald’s NFC pad attached to the credit card terminal, but saw no mention of Apple Pay anywhere. So, I asked the cashier about it. She was a little confused, but then when I pulled out my phone and started talking about it more, she nodded. “Oh yeah, that. We’ve been able to do that for a while,” referencing Google Wallet. She didn’t react at all when I tapped my iPhone 6 Plus to the terminal and giggled when the transaction went through. At Panera, I, of course, picked the one register that wasn’t NFC-equipped, but the cashier didn’t mind moving me over to another register (props to the Panera in Dublin, California for being so cool about that despite the long lunch-hour line behind me). That’s something you may encounter, too—that some registers can handle Apple Pay, but others can’t. 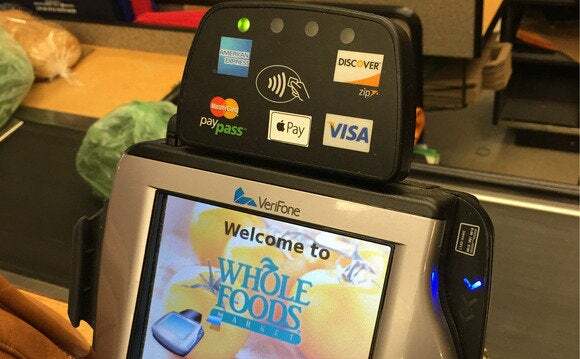 Whole Foods wants the world to know that they’re ready for Apple Pay. I have a car and I filled up the tank at a Chevron a few days ago, but I didn’t use Apple Pay. Why? Because there was no NFC terminal at the pump, and I assumed that my local Chevron just didn’t have the technology yet. However, I later learned that this wasn’t the case—the human-operated cash registers could handle it, meaning I would have had to go inside to the cashier to complete the transaction there. That’s problematic for drivers who typically pay at the pump: It creates an extra step. It’s not that I’m too lazy to walk over to the Chevron mini mart to pay for gas that way, but it’s certainly not more convenient than just swiping my credit card there at pump. I’d love to pay for gas with Apple Pay due to the added security measures, so hopefully we’ll see tap-to-pay terminals at the pumps soon. 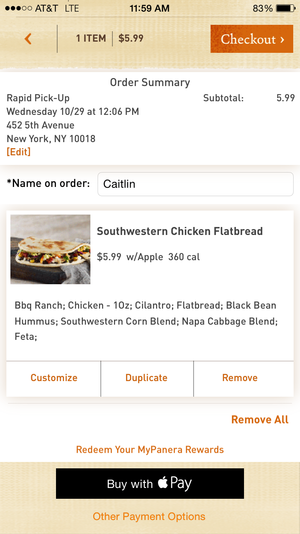 Panera’s Apple Pay integration makes ordering lunch a breeze. Leah: Using Apple Pay within apps on your iPhone 6, iPhone 6 Plus, iPad Air 2, or iPad mini 3 can vastly change the checkout experience, depending on the app. I used it to pay for a Lyft ride and to buy a top through Spring. Both of these apps already had a super smooth checkout process, so on my end, Apple Pay didn’t feel very different. 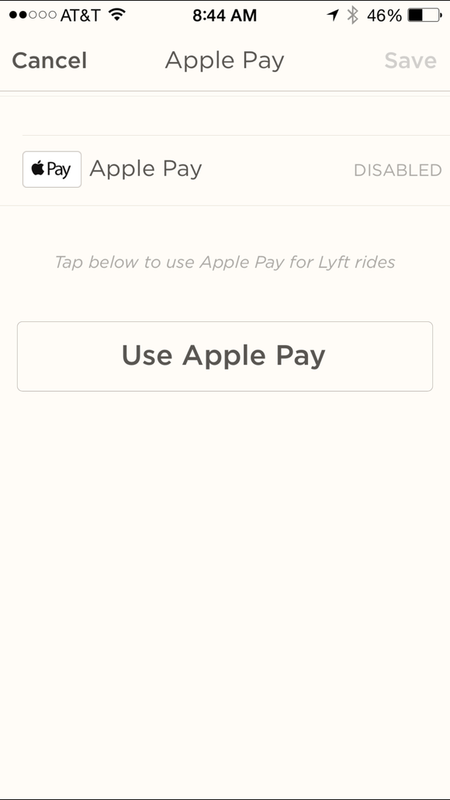 For Lyft, you have to preset your Apple Pay account as your default method of payment before you hail your ride. Once your ride is over, you add your tip and pay as usual, only this time you’re prompted for a Touch ID thumbprint. Spring is my favorite shopping app and has been since it launched—its Instagram-esque approach to following brands makes it easy to find gorgeous new pieces to buy. Better yet, once you’ve set Spring up with your credit card, shipping, and billing info, all you have to do is swipe on an item to buy it. Apple Pay requires your thumbprint after the swipe, which just feels like a natural part of the process instead of an extra step. 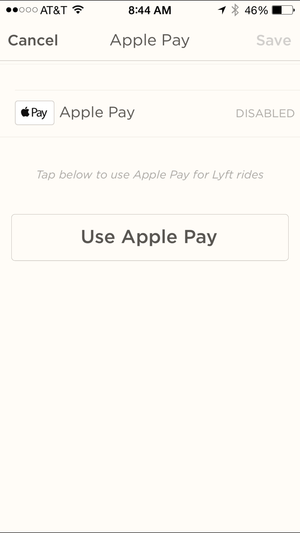 You have to enable Apple Pay in the Lyft app’s settings before you can use it. Caitlin: Until Apple Pay rolls out to more of the stores I shop at, I’m interested in how apps can integrate with Apple Pay to make their payment process more secure (and faster for me). I tested two: Panera and Threadflip, an app where women can buy, sell, and trade clothes. There’s nothing worse than waiting in line to buy lunch, which is why I usually bring my own or go to places I know I can duck in and out of in less than five minutes (Pret A Manger, I’m looking at you). Panera’s online ordering and pickup process is nothing new, but with Apple Pay, I chose my Southwest flatbread and apple, and with the touch of a fingerprint, paid without any hassle. I walked over to Panera 10 minutes later and bypassed the hungry suckers waiting in line to pick up my food. This is the future, and I love it. Threadflip was a bit more complicated. I had already entered my shipping information, but for some reason I had to enter it again at checkout, along with my billing details. I also struggled to figure out where to enter a promo code all new users get when they sign up for Threadflip. Retailers need to streamline their own checkout processes to make their Apple Pay integration easier, but online shopping now feels more secure with Apple’s tokenization. Brick-and-mortars—who have proved they can’t protect your financial info—need to get their act together. Apple Pay isn’t the wallet killer it’s cracked up to be... yet. But we didn’t expect it to be right at launch. Although Apple Pay has an impressive list of partners, retailers and customers are still figuring it out—it’s unrealistic to expect shoppers to remember every single store they can use Apple Pay, and in turn it’s unrealistic for merchants to plaster Apple Pay signage all around their cash registers (though we did expect to see that more than we actually did). However, there is massive potential. It’s secure, easy to use, and quick—rummaging through your bag or pocket for your phone takes considerably less time than digging for your wallet and then fumbling through until you find your card. Plus, users activated 1 million cards in Apple Pay's first three days, so clearly people want to use it. It can only get better with time.